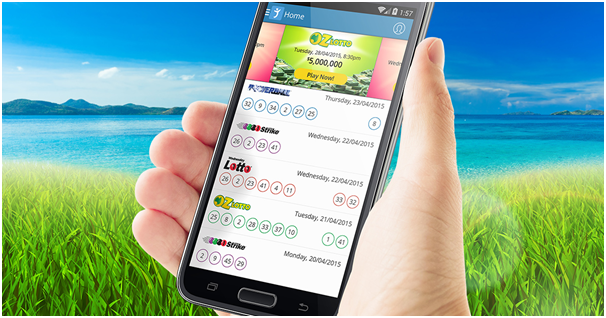 Oz Lotto is one of the popular lotteries to be played in Australia. 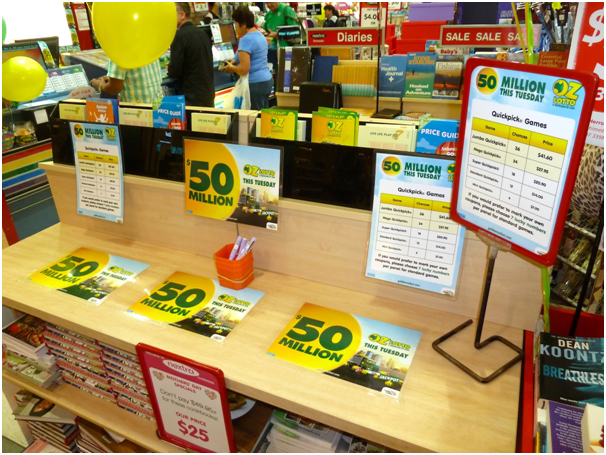 It was on November 6, 2012, that Oz Lotto created Australian lotto history when it broke the record for the biggest ever Australian lottery jackpot. 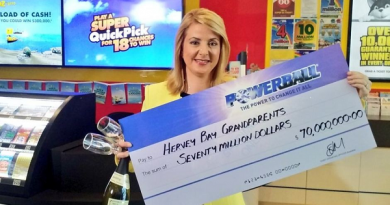 Four very lucky Australians became instant mega-millionaires when they shared in the mammoth $111,972,151.04 Division 1 prize. That’s a massive $28 million for each winner! Since then, Oz Lotto has continued to deliver massive jackpots and set up many Australians for life. With a draw every Tuesday night, here are the ten most common questions you would ask about Oz Lotto. Introduced in 1994, Oz Lotto was Australia’s first national lotto game, and has remained popular thanks to its large jackpots. Oz Lotto offers BIG jackpots guaranteeing a minimum division one prize pool of $2 million every Tuesday and can jackpot to $50 million or more! Every Tuesday night, 9 balls are drawn at random from forty five balls numbered 1 to 45. The first seven balls drawn are the “winning numbers” and the last two numbers are the “supplementary numbers” To win first division you need to match 7 numbers in a single game with the 7 winning numbers from the draw. To win the Oz Lotto jackpot, you need to pick 7 numbers between 1 and 45 and match those 7 numbers with the first 7 main numbers drawn. Two additional supplementary numbers are drawn to provide extra chances of winning some of the lower division prizes. For example, if you match just 3 main draw numbers and 1 supplementary number, your bet wins a prize. While the odds of winning the Division 1 prize are 1 : 45,379,620, the odds of winning any prize with a single bet are much smaller at 1 : 55. Those odds shorten to 1 : 8 if you bet on 12 combinations of numbers in the same draw. Many lotto players like to include most frequent (hot) numbers in their bets, while others believe that the least frequent (cold) numbers that are overdue to come out! Since draw number 609 in 2005 (the first draw with 7 numbers), the most popular or hottest main draw number is the number 33, having appeared an astonishing 108 times. The least popular or coldest main number is the number 10, which has appeared only 72 times. There are several simple ways to bet on Oz Lotto. The easiest way is to select a 12 game, 24 game or 36 game Quicky bet. Quickies are randomly selected numbers that help take the effort and hassle out of trying to pick your winning numbers. If you do wish to select your own numbers, you can edit one or all of the games in your Quicky bet once you’ve added it to your cart. Alternatively, you can pick your own numbers on the bet slip by manually selecting them for each game. Each single standard bet costs just $1.20. Q5. Where to buy OZ Lotto ticket? Pick up an Oz Lotto coupon at your local Tatts Outlet or select your numbers when you buy Oz Lotto online. Also you can buy the OZ lotto ticket with your mobile app. Just download the app free from iTunes app store or Google play. You can play a Oz Lotto Pick Entry with your favourite numbers on a marked coupon or as a QuickPick. 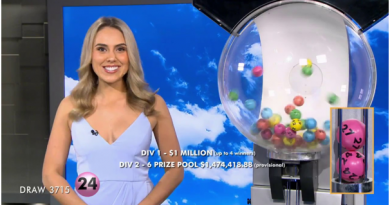 For example, if you play an Oz Lotto Pick 5 Entry you are guaranteed two out of the seven winning numbers, and you only have to pick the remaining five winning numbers in that game panel. Mark the “System/Pick” check box on your coupon or select this option when you buy Oz Lotto online. Maximum number of game panels will vary between 1-50 for Pick Entries. For more information you can call at 131 868. Q6. What are quick pick entries? When playing an Oz Lotto Standard, Oz Lotto System or Oz Lotto Pick Entry, if you have marked only a few game panels and want to play a bigger entry, all you have to do is ask for a Top Up! The remaining game panels are QuickPicked for you as standard games up to 9*, 12, 18, 24, 36 or 50 games. Just let your Tatts Retailer know how many games you want to top up to or, if you are purchasing online, you can select the ‘QuickPick row’ or ‘QuickPick unfilled games’ options to Top Up a Standard, System or Pick Entry. System bets allow you to play more numbers than a standard bet, which in turn gives you more number combinations and hence increases your chances of hitting the jackpot. For instance, a standard Oz Lotto bet includes 7 numbers and just one possible winning combination. But if you were to buy a 10 number system bet– you then have 120 possible combinations of hitting the jackpot. Get a group of friends together and buy a 12 number system bet and you’ll have 792 possible winning combinations! Because you’re getting more combinations, system bets cost more than regular bets. The table below details the cost of different system bets and how many winning combinations each system bet offers. To place an Oz Lotto system bet, keep adding your desired numbers above the regular 7 numbers you would normally choose in a standard game. Once you select more than 7 numbers in a game, you will be notified that you have activated a system bet and the cost of the bet will be automatically calculated for you. Pick up an Oz Lotto coupon at your local Tatts Outlet or select your numbers when you buy Oz Lotto online. Maximum number of game panels will vary between 1-50 for high level System Entries. Another way to maximise your chances of winning the Tuesday Lotto is to buy a share in a syndicate. By anonymously pooling your money with other players, you become involved in more potentially winning number combinations and therefore have a greater chance of hitting the jackpot. Simply choose which Tuesday Lotto syndicate you wish to play and how many shares you wish to purchase. Q9. When Does the Oz Lotto Draw Take Place? Q10. What is Multi week entry in Oz Lottery? If you’re away and don’t want to miss getting your Oz Lotto entry in, why can try a Multi-week entry! It now allows you to play the same numbers in your favourite Oz Lotto game for 2 to 10 weeks at a time. Entries for specific draws are available up to 10 weeks prior to any lotto draw date so you can buy early to avoid the rush. Tatts Card members can store up to 50 sets of favourite games and numbers on their Tatts Card. Just present your card at your local Tatts Outlet and ask to play a Favourite. You can record any marked coupon or QuickPick Entry as a favourite, or as an online member you can save your Favourites when buying lotto online. That means you can play your Favourites at any time. These ten questions with their answers will surely help you in playing Oz lotto and winning the jackpot. If you have any more questions to ask do feel to write to us.